Hey everyone! I made up some 2013 calendar printables and decided to post them on here so that everyone else can have a chance to enjoy them as well. They're all fun colored chevron designs and will fit perfectly on an 8.5x11 piece of paper. 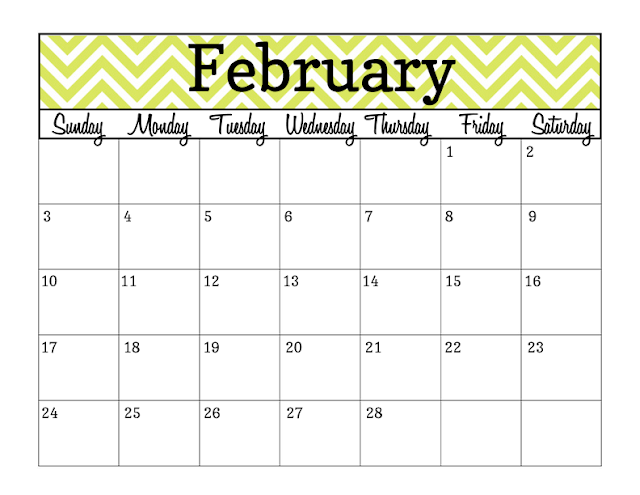 Just to give you an idea about what the full size months look like, here's February. There's plenty of space in the boxes for you to add in your appointments or activities. I've uploaded the file as a single PDF, which you can download here. 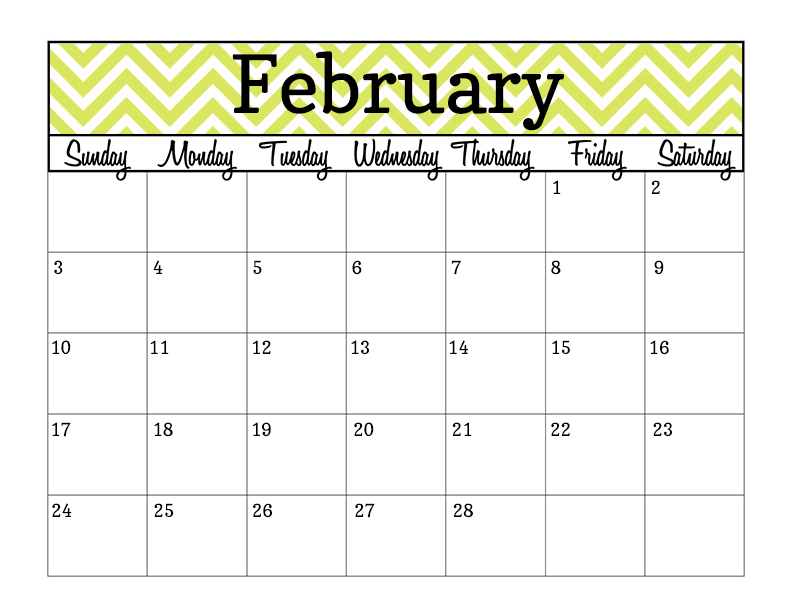 Or you can download it as .zip file and find each individual month here. I'd love to hear what you think of these. Leave me a comment if you decide to download them, enjoy! thank you - these are so cheery! These are so cute! 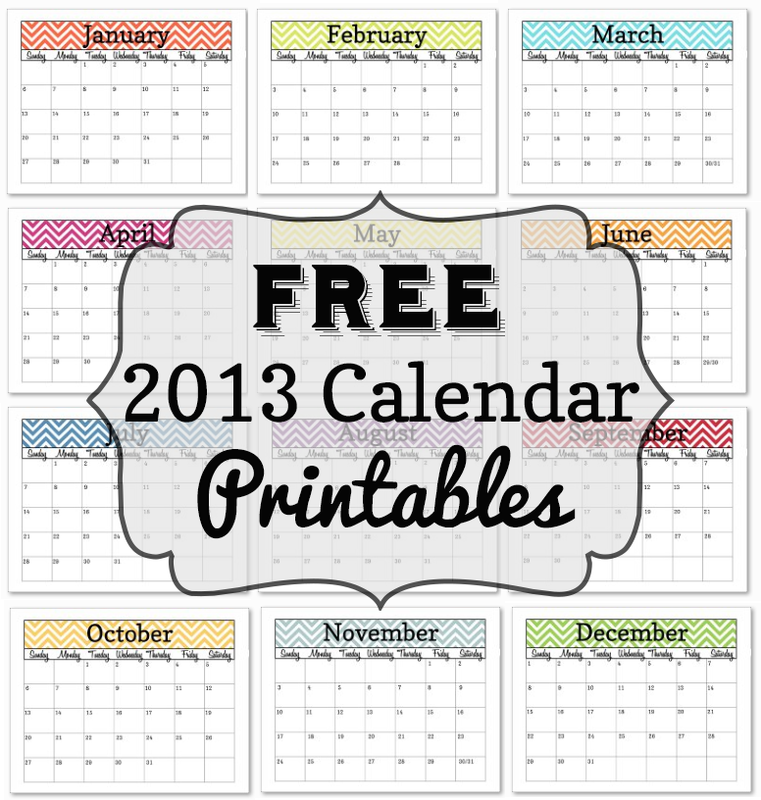 Are you or have you already made calendars for 2014 by chance?? Thank you so much! I have a 2014 one made that can be purchased in my Etsy shop (through a custom listing). It's high resolution and includes editable date boxes that you can type into. what is your Etsy shop? As a teacher, am August- June calendar would be helpful! Great work! Hi there, My Etsy shop is simplybrenna.etsy.com, thanks! Thanks for the printables! I have included you in my blog! Thank you so much for the calendar, God Bless You!